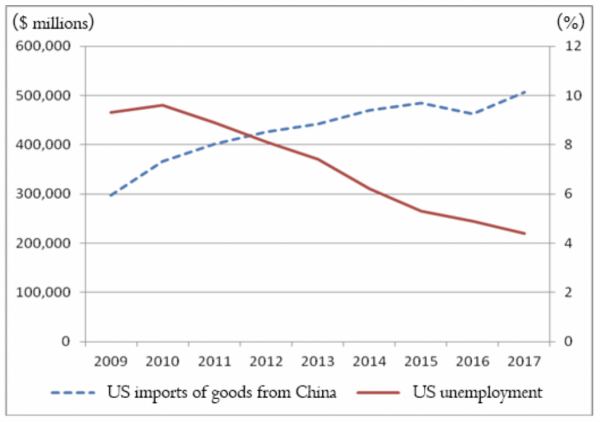 With Donald Trump’s trade war with China seeming to grow worse on a weekly basis as more and more tariffs are imposed on Chinese imports, a recent white paper published by China’s Information Office of the State Council entitled “The Facts and China’s Position on China-US Trade Friction” provides us with interesting insights into the nation’s stance on U.S.-China economic and trade relations. Let’s look at some of the more interesting details from the white paper, trade bullyism practices of Washington. 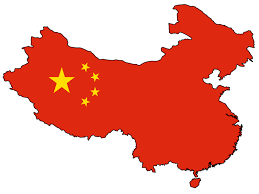 Like any other issue, it is always prudent to see both sides of an issue rather than focussing on the viewpoints of one side over another, a problem for those of us who live in the West and are rarely exposed to the Chinese viewpoint on key issues. According to U.S. statistics, two-way trade in services between China and the United States rose from $24.94 billion in 2007 to $75.05 billion in 2017 with the United States becoming the biggest source of China’s deficit in services trade. 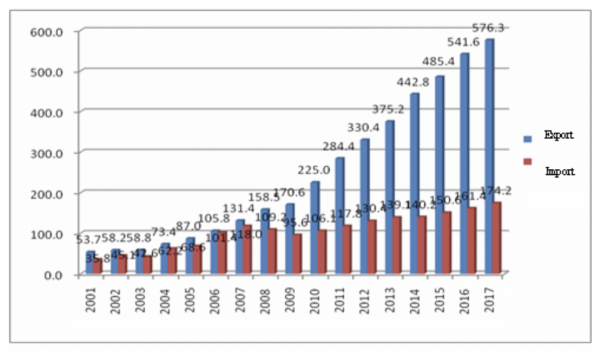 In fact, U.S. service exports to China grew from $13.14 billion in 2007 to $57.63 billion in 2017, an increase of 340 percent. This compares to an average increase of 180 percent to other nations and regions around the world. 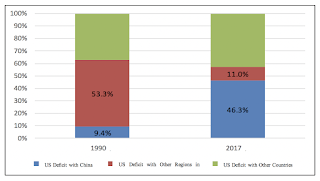 The big increase in the trade deficit with China occurred in the new millennium when China accede to the World Trade Organization, a deal that was very heavily promoted by President Bill Clinton. According to China Customs, in 2017, 59 percent of China’s trade surplus with the United States was a result of operations by foreign-invested enterprises (i.e. 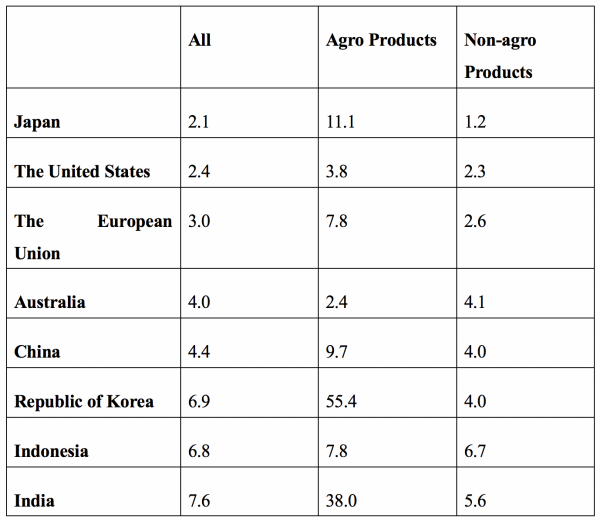 factories that have been established in China by multinational and American companies). 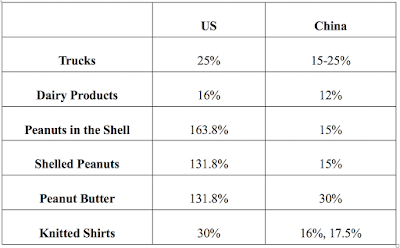 As you can see, China’s current tariff rates are similar to or less than tariffs imposed on imported items by America’s other major tSince China has fulfilled its WTO obligations, it has substantially reduced import tariffs on 1449 daily necessities from an average of 15.7 percent to 6.9 percent and its orading partners. 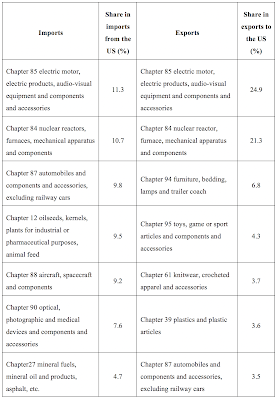 Overall tariff level on goods from 15.3 percent in 2001 to its current level of 9.8 percent. This has meant that Chinese consumers are increasingly likely to consume imported goods rather than domestically produced goods, a move that should be considered as positive by Washington. 1.) 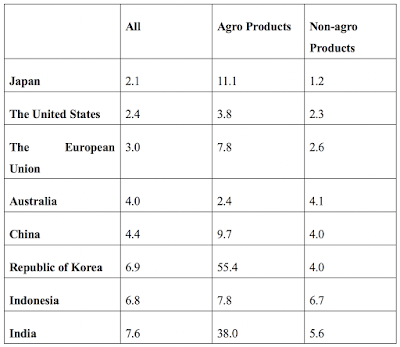 Unilaterally provoking trade friction under the pretext of United States domestic law: The current administration circumvents the WTO’s trade dispute mechanism using American laws regarding industrial injuries and intellectual property rights instead, undermining the authority of the World Trade Organization and its membership. 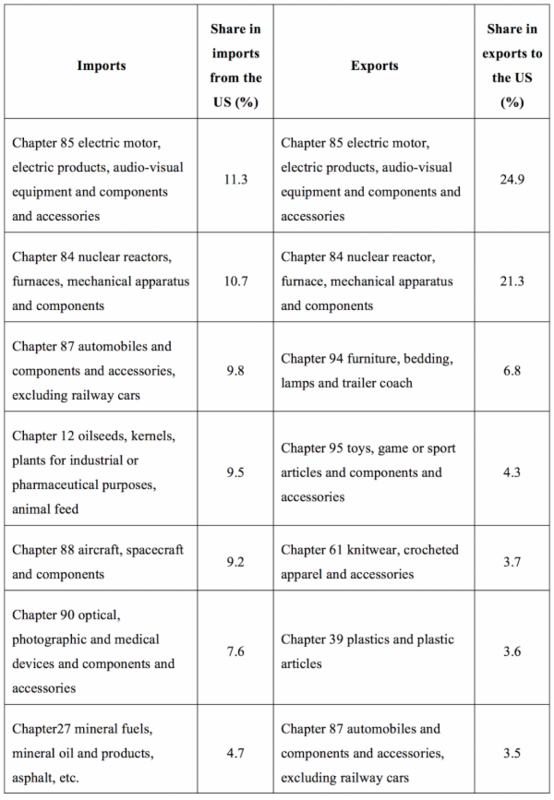 Under Section 232, the current administration has cited “national security” as a justification for the imposition of tariffs on steel and aluminum imports from China and other nations as well as imported automobiles and auto parts. The current administration has also initiated Section 201 actions under the Trade Act of 1974 which allows the President to grant temporary import relief by raising duties against products that have either injured or threatened to injure domestic industries which led to the imposition of 50 percent tariffs on imported washing machines and 30 percent tariffs on photovoltaic cells. The administration has also initiated Section 301 actions related to the forced transfer of U.S. technology and intellectual property which affects $50 billion worth of Chinese imports. While formulating and enacting its own plans to increase America’s competitiveness with government intervention, Washington has accused other nations of unbalancing the trade playing field when they enact their own industrial policies. “The US is also vigorously reviewing and revising its export control legislation to strengthen its “long-arm jurisdiction”. On August 13, 2018, the US President signed the National Defense Authorization Act 2019, an important part of which is the Export Control Reform Act (ECRA). The ECRA further tightened restrictions on foreign-holding companies, intensified controls on “emerging and basic technologies”, and mandated an inter-agency process to boost law enforcement capabilities. Recently, the Bureau of Industry and Security of the US Department of Commerce added 44 Chinese entities to its Entity List for “acting contrary to the national security or foreign policy interests of the United States”. Such measures create obstacles for Chinese businesses to conduct normal trade and are in fact an extension and upgrading of “long-arm jurisdiction”. 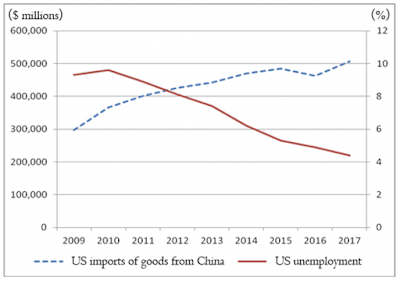 While the movement of manufacturing jobs to China is often cited as a reason for America’s manufacturing sector problems, in fact, between 2010 and 2015, the number of U.S. manufacturing jobs rose by 6.8 percent while U.S. imports from China’s manufacturing sector rose by 32.4 percent. Perhaps, as China suggests, nations should work together to build a common prosperity, a notion that seems beyond Washington. A win-win situation is far better for global stability than the current win-lose mantra proclaimed by the United States. Does Protest Rejuvenate or Limit Literature?